To discover Malaysia is to discover a country of many faces. Geographically, the country is split in two, with the Malaysian Peninsular and East Malaysia separated by the South China Sea. Modern Malaysia is a melting pot of race, religion and culture, with large Chinese and Indian populations who call the country home. Without forgetting the country’s rich history and the foreign influences of past centuries. The result of such diversity? When it comes to planning your perfect destination wedding, Malaysia offers a setting to suit every taste and budget. Languages Spoken: Malay (official), English, Mandarin, Hindi also spoken. Easter - but Good Friday is only celebrated in two states on Malaysian Borneo. Date varies each year. There’s only one word for the climate in Malaysia: tropical. Temperatures range from warm to even warmer, so expect a hot and humid 25-35°C depending on the season. If you're looking for a bit of breezy respite, however, head inland towards the verdant hills, such as the Cameron Highlands, which can offer a cool relief. Before finalizing the date for your big day, ensure it doesn’t coincide with the monsoon season. The east coast monsoon falls between mid-October to mid-March and you’ll find many resorts closed and little access to the islands. The west coast monsoon is generally considered milder and falls between May and October. Prepare to be enchanted by Malaysia. Here’s a land of some of the friendliest and most welcoming people who will go out of their way to ensure your wedding day is unforgettable. Yet this is still a fairly conservative and predominantly Muslim country which guards traditional values, therefore it’s important to demonstrate respect in your actions. Avoid kissing or hugging in public; show your affection for each other by holding hands instead. Try to keep a more modest dress code and take off your shoes before crossing into someone’s home. It is becoming more accepted to shake hands, however not always between the sexes. Traditionally, introductions are made by holding out both hands in greeting before bringing them back into your chest. You can expect slightly less restrictions in bigger cities and tourist resorts. Whilst drinking in public is a no-no, many Chinese-run restaurants serve alcohol with meals and larger hotels and resorts include a bar area and operate a more relaxed attitude. There’s no excuse not to greet people with a cheery “hello”, since it’s the same in Malay! Other key phrases to remember include sila (please), terima kasih (thank you), apa khabar? (how are you? ), and selamat tinggal (goodbye). Spicy, sizzling, saucy, sweet: just some of the words which are used to describe the Malaysian menu. A reflection of the population and the location of the country, the local cuisine is infused with Chinese, Indian and Thai influence. Chili, shrimp paste, lemongrass, coconut milk and garlic are staple ingredients, so you can be assured of a fresh and flavoursome wedding menu. Popular dishes include Laksa (noodle soup), Rendang (a spicy, dry curry), Nasi Goreng (stir-fried rice) and perhaps the most famous of all, Satay (peanut sauce). Search out street food at bustling roadside stalls and diners (Kedai Kopis), an essential part of the Malay experience, and wash it down with exotic sounding fruit juices made from lychees and longans. Note that the service charge is included in restaurants, so tipping is not expected. There is also no tipping in street stalls or food courts. The local currency is the Malaysian Ringgit (MYR). ATM’s are located in the major cities and on popular tourist islands such as Langkawi. However there are still many parts of the country without cash withdrawal facilities, so you are encouraged to check prior to departure to outlying areas. In general it is recommended to have sufficient cash to cover outstanding wedding expenses when travelling to less frequented parts. This rings true for your plastic as well, whilst major resorts and restaurants accept credit cards, even in urban centres the smaller traders still operate on cash based transactions. Money changers can be found in tourist centres and larger hotels and resorts offer currency exchange, although, as with anywhere, the rates are usually less favourable than banks or foreign exchange booths. Speaking of matters financial, Malaysia definitely represents value for money as a wedding destination. 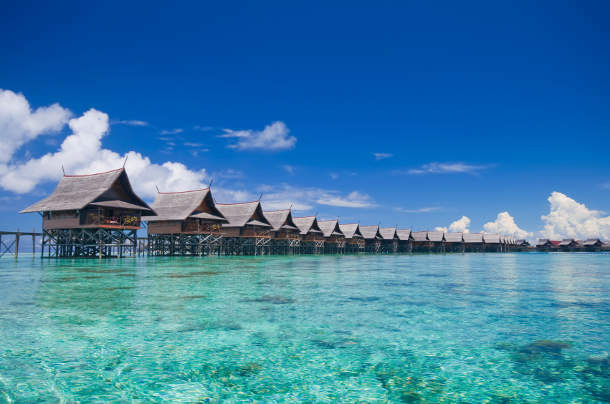 There’s no shortage of five star hotels and resorts offering destination wedding packages, especially on islands such as Langkawi and Penang. Whilst these start around 10,000MYR (£1,800), expect an array of options to suit all budgets. The following notes are not comprehensive and are intended as a guide only. Before planning your wedding in Malaysia we strongly advise you to contact the Malaysian embassy in your home country or your country's embassy in Malaysia to obtain up-to-date legal requirements. It’s a relatively painless bureaucratic process to turn your dream of a Malaysian destination wedding into a reality. 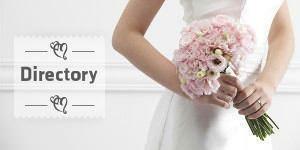 Your first step is registering your marriage at the National Registration Department. To complete this, as a foreign citizen you must be in Malaysia seven days prior to registration and present documents including your passport, passport photos, birth certificate and a statutory declaration of marital status from your embassy or high commission. The civil ceremony, or ‘solemnization’ of marriage, can then take place after 21 days (but before six months) in the presence of two witnesses over 18 years of age. A fee can be paid to fast-track this time frame. If one party is of the Islamic faith, Malaysian law dictates the other party must convert to Islam before the marriage can take place. Requirement do change, so it is advisable to visit the website for the Malaysian Embassy in your own country for further up-to-date information about the legal requirements for marrying in Malaysia. Find out more about the States and Territories of Malaysia or browse our Malaysian Wedding Directory to start planning your dream wedding.